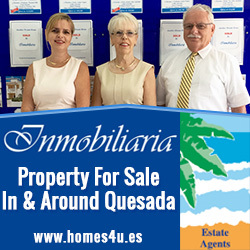 Mar Azul is the last of Torrevieja beach front residential areas before it’s border with Orihuela Costa. 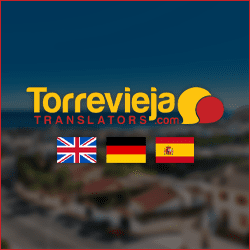 Many would consider it an inconvenient place to live because it’s barely in Torrevieja or Orihuela Costa, but that is where lies its advantage. 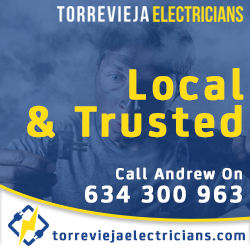 With Torrevieja fantastic weather, it’s surprising how little people walk or cycle, choosing to drive instead, even if it’s just to the local shops. Some say it’s because of the heat, yet they will lay in the blazing sun all day on the beach. Mar Azul has sufficient amenities for day to day living including shops, bars, restaurants and a fitness centre, and let’s face it, Torrevieja city centre and Orihuela Costa are less than a 5 minute drive or 20 minute walk away. 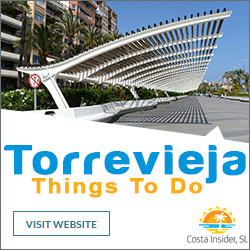 It is right on the beach, and just the other side of the N-332 dual carriageway is the lovely Torrevieja Natural Park and salt lake, offering an interesting variety of flora & fauna, and hiking trails that are great for walking the dogs. Mar Azul is one of Torrevieja residential areas where potential property buyers or those looking for rentals can enjoy seaside living at very reasonable prices. 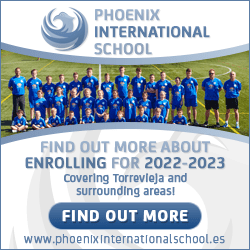 The choice of property types include apartments, bungalows, townhouses and villas, many just a few metres from the sea. The coastline mainly consists of rocky coves and small strips of sand but for those who wish more of a substantial beach, there is Cala Ferris Cove and the nearby beach of Náufragos. The rocky coves of the area offer good fishing and snorkelling opportunities and if your Spanish is any good, the locals will usually offer advice on what bait to use and other handy hints. 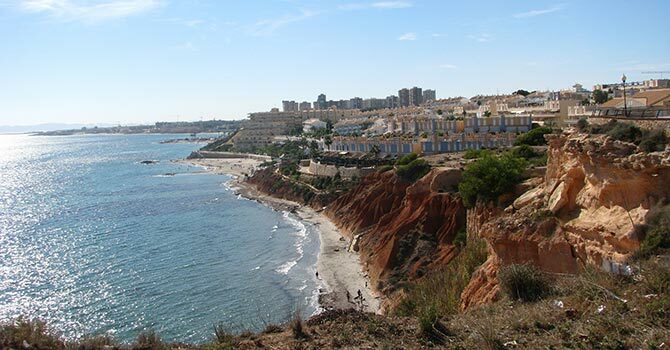 The whole coastline from La Mata all the way to the far side of Orihuela Costa boasts a splendid coastal path, so get those walking shoes on and really explore this lovely coastal region.